The culminating novel in the Medici Quartet, takes us from our present chaotic century forward into the future, and back into the brutal past of the Medici Court. Grace is unique, she has a six letter DNA sequence and is perfectly created to move backward and forward in time through the dissolution and reconstitution of her quantum cells. 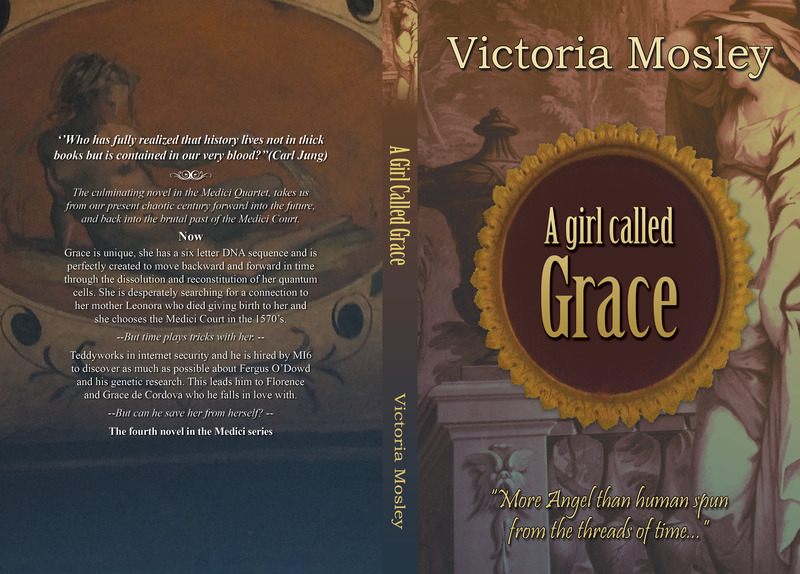 She is desperately searching for a connection to her mother Leonora who died giving birth to her and she chooses the Medici Court in the 1570’s. Teddy works in internet security and he is hired by MI6 to discover as much as possible about Fergus O’Dowd and his genetic research. This leads him to Florence and Grace de Cordova who he falls in love with.